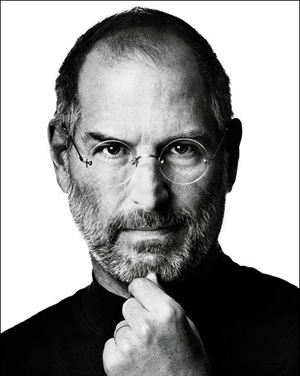 As most everyone knows by now, Steve Jobs, the co-founder, chairman, and CEO of Apple, passed away on October 5th, 2011 at the age of 56 due to his pancreatic cancer that had been diagnosed seven years earlier. Many people all over the world have mourned and shown their support for a man who was considered an innovator and pioneer. Now is the time when everyone is looking back on the legacy of this man and coming up with their own ideas on how he has impacted a whole generation of people. The Ipod, Mac, Iphone, and Ipad have all made serious differences in the way many people live their lives. Tying into my blog, I want to take a look on how Steve, his company, and his products have shaped and influenced web 2.0 and the way we communicate with each other. If you take a look at the Iphone alone that has allowed for people to be constantly connected to the internet, and the world in general. You can have your Facebook and Twitter so you can receive constant updates on what your friends are doing or what is going on around the world. Products such as the Iphone have also allowed for any random joe to be able to produce a form of journalism. If you see something newsworthy you can now just take a picture or video of it and upload and it could be the most popular news item of the day. I realize the Iphone was not the first phone to have these features but the brilliance of Steve Jobs and Apple is that they create a product that makes everyone want to go out and get it and make it an integral part of their lives. Through different applications on the operating system he helped to create he has allowed for easy communication with others in this web 2.0 world such as Ichat and Face Time. These allow for seamless avenues through which to talk and connect with others who are thousands of miles away. I think Steve Jobs wanted everyone to have an important part in our society so that he created these products that could allow the users to control how they used them and give them ultimate freedom. I will end this with a quote that I believe sums up what he felt about those people trying to make the world a better place: Here’s to the crazy ones. The misfits. The rebels. The troublemakers. The round pegs in the square holes. The ones who see things differently. They’re not fond of rules. And they have no respect for the status quo. You can quote them, disagree with them, glorify or vilify them. About the only thing you can’t do is ignore them. Because they change things. They push the human race forward. And while some may see them as the crazy ones, we see genius. Because the people who are crazy enough to think they can change the world, are the ones who do.” Steve, you will truly be missed.